SJ Basic News is a simple module for content component. It helps you show the category of articles according to your preference. 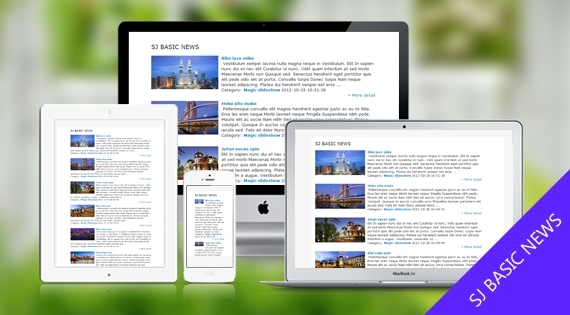 Especially, this module supports responsive layout, but only for Joomla 2.5 and Joomla 3.0 on.